Want to learn from whitewater’s best, while paddling some of the best rivers in the country? Head to The Whitewater Symposium in White Salmon, Wash., Oct. 12-14 for a weekend of seminars, symposiums, on-water instruction and more, all in the heart of prime paddling. 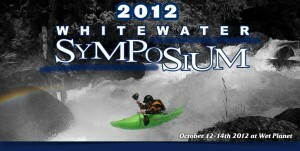 Hosted this year by the Wet Planet Whitewater Center in White Salmon, Wash., in the Columbia River Gorge, the Whitewater Symposium is a three-day annual event promoting whitewater paddlesports by bringing together a diverse cross section of industry and program advocates. 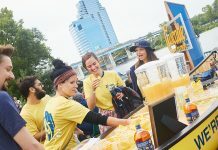 The event affords a unique meeting of minds who are dedicated to the whitewater medium and pro-active in fortifying its future. Symposium topics, conversations, presentations, workshops and courses involve all levels of whitewater paddlesports and all varieties of engagement including those of interest to: manufacturers, retailers, outfitters, schools and instructors, paddling clubs, and even regular Joe-Blow boaters. The event’s slogan — “A Whitewater Meeting of the Minds” – sums up what you’ll find. It’s a stage where every type can be a participating character. 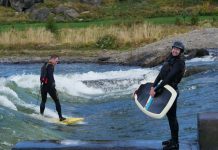 Non-professional, intermediate and advanced whitewater kayakers can learn from the top names in the sport, and the top dogs can learn from the non-professionals. 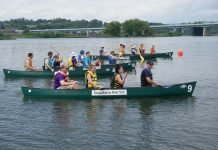 Past events have been held at Zoar, NOC, Rock Island, Current Adventures in Lotus, Calif., and the Adventure Whitewater Center in Wisp, Md. This year marks the first time it has been held in the Northwest. Next articleKEEN Promotes World Recess Day Sept. 14!